The immensely beautiful Rococo buildings on the Meir house major European chain stores. It makes this traffic-free boulevard the pre-eminent hotspot for every shopaholic. 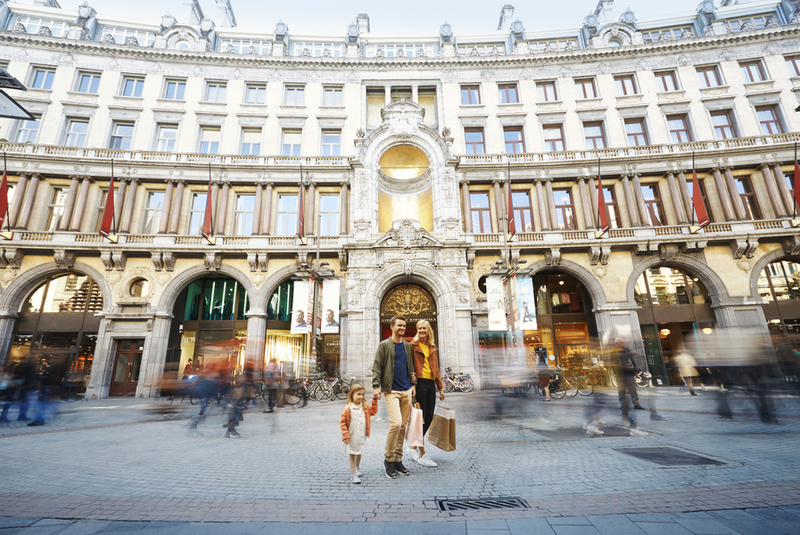 Antwerp’s Meir is the city’s most prestigious and vibrant walking and shopping avenue. You’ll find branches of many of the large international chains here in the stately 18th and 19th century buildings. 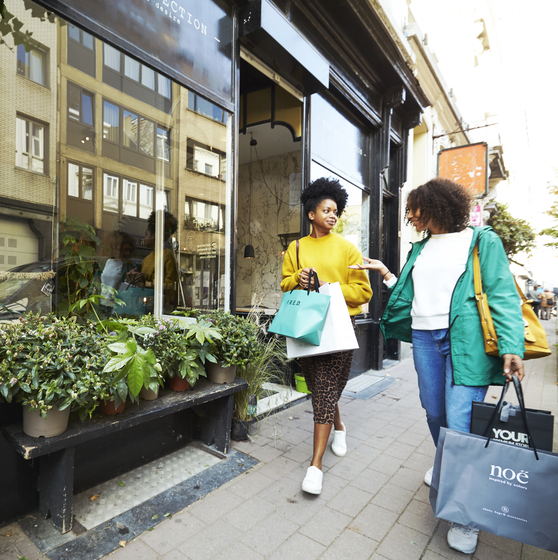 Do visit Shopping Stadsfeestzaal, an exclusive shopping centre in the city’s beautifully-restored festival hall. Do you need a break from the crowds? 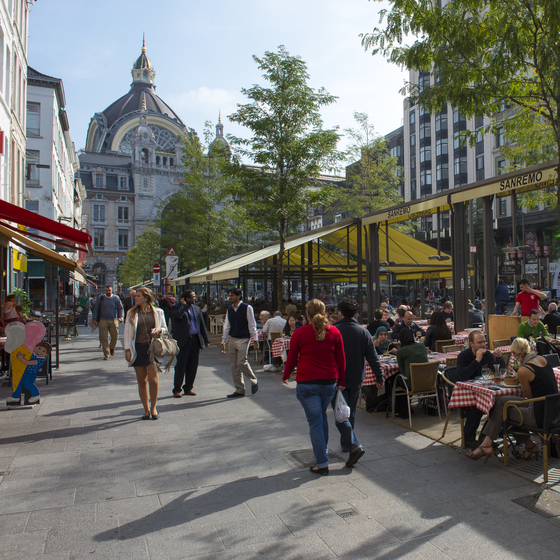 No problem, find a seat on one of the nice terraces in Wapper, the square in front of the historic Rubens House. Stroll past spin-offs of large chains, hip brands, beauty shops and sweet delicatessens. You can’t drag Antwerp locals away from here. 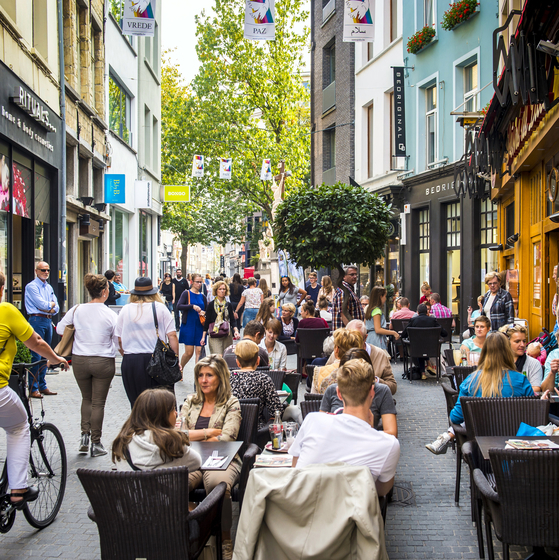 Het Zuid combines art, culture and atmosphere.